Home > Mortgages > Can I Get a Home Loan with Bad Credit? While a 20% down payment and a great credit history make buying a home easiest, there are ways to get approved for a home loan without them those golden assets. Programs, such as Federal Housing Administration or FHA loans, Veteran’s Administration or VA loans and United States Department of Agriculture or USDA loans can help those without great credit and a large down payment realize the dream of home ownership. Why Mortgage Lenders Care About Credit Scores? Your credit scores and credit reports are the primary information lenders use to determine whether you’re a good or bad risk for a mortgage. Assessing your creditworthiness also gives lenders an idea of the amount they can safely loan you with confidence you can pay it back and make payments on time. Your credit scores and credit reports show a potential mortgage lender how you’ve handled past debt and payment obligations. Do you have several late and delinquent payments? Bankruptcies or other adverse judgments? Any of those items are red flags to a lender. And, because the lender is in the business of making money and not losing it, it wants to see you are not a risk. Sadly, even if you’ve completely changed your credit habits, the lender will look at your past to assess whether or not it wants to enter into a future with you. Even if you have a good credit score in the 750 range, a potential lender will look at your debt usage. If your usage is high, the lender might decide not to give you a loan. High debt usage is another red flag that loaning you money might be risky and result in a business loss for the lender. For first-time homebuyers and those looking for a second home, getting a traditional home loan with bad credit or a poor credit score can be difficult. But it’s not impossible. Even credit scores traditionally thought of as “bad” won’t necessarily stop you from getting approved for a mortgage. If you have a score lower than 620, it’s unlikely you’ll receive approval for a traditional home loan, also known as a conventional fixed-rate mortgage. However, you can likely apply for other programs, such as FHA loans, VA loans and USDA loans. If one of those programs isn’t an option, take some time to improve your credit by paying debts on time before you apply for a loan. While you may be approved for a mortgage loan with a credit score between 620 and 680, such a score will affect your loan program and pricing. It will also result in your paying a higher interest rate. So it’s well worth your while to improve your score first if you can. 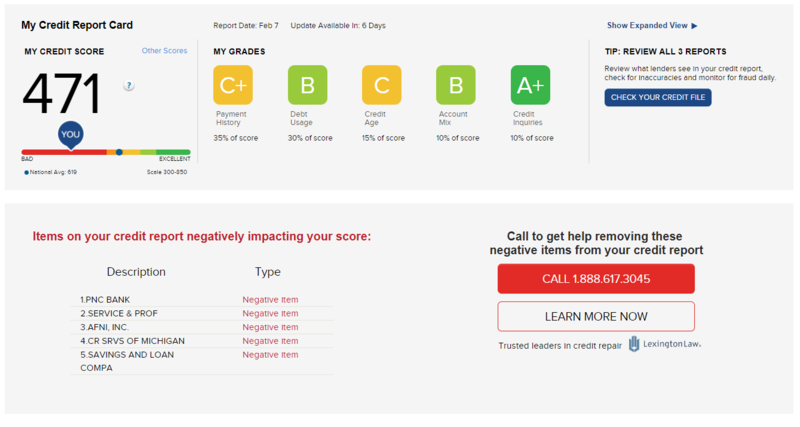 To get help improving your score, you can sign up for your free credit score on Credit.com. Your score includes access to a free credit report card that shows where you stand in each of the five areas that go into your credit score and how you can improve each area. If you have bad credit, then the primary option for you to buy a home is an FHA loan. If your credit score falls between 500 and 579 and you can make at least 10% down payment, you likely qualify for an FHA loan. Disadvantages of an FHA loan compared to conventional loans include longer times to get approved and the requirement of mortgage insurance, usually a 1.75% upfront premium and 0.45%–1.05% annual premium too. But, given that you can buy a home with a lower credit score, those are minor if home ownership is your dream. 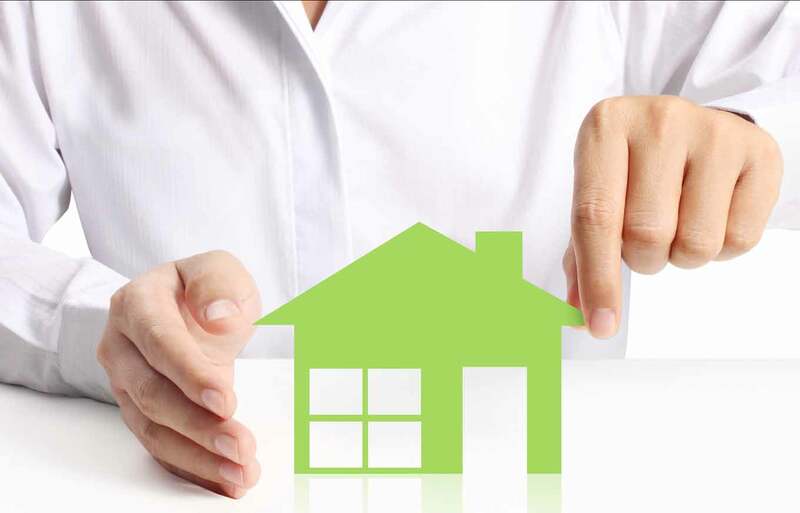 Learn more about how FHA loans compare to conventional loans. VA loans and USDA loans are also options for some borrowers. There are various types of loan programs, including conventional, FHA, VA and USDA mentioned above. Conventional loans are best for borrowers with good to outstanding credit. But if you can make a large down payment, you might be approved for a conventional fixed-rate mortgage even with less-than-perfect credit. When it comes to pricing, if you have lower credit, your mortgage interest rate for a conventional loan will most likely be higher than those of someone with good or excellent credit. You may also face additional premiums and more expensive insurance. That’s a difference in monthly payment of $289. The borrower with the lower credit score, pays the higher price. Your credit history is another factor a lender uses when deciding whether to approve your mortgage loan. Negative items on your credit report, such as patterns of previous credit delinquencies and balances on closed accounts, negatively affect your chances of getting approved for a mortgage. Lenders look at credit scores first to determine which home loan you’re eligible for. Next, your complete credit overview, including credit history, is used to determine what the lender looks for in the underwriting process. During underwriting, the lender tries to figure out what happened in your credit history and why, as well as the likelihood that you’ll have credit issues in the future. Negative items can cause concern for lenders, but may not be total deal breakers. Here is a list of negative red flags and how to overcome them. A pattern of delinquencies. Lenders can work around a record of late payments, but they’ll likely require a larger down payment and lower debt-to-income ratio to do so. Late student loan payments. A late federal student loan payment within the last 12 months will make approval less likely for an FHA loan because government financing doesn’t look kindly at delinquent federal payments. Late mortgage and other loan payments. Lenders usually overlook one late payment in the past 12 months, so long as you can explain and provide necessary documentation. After a foreclosure, it takes 36 months to be eligible for a 3.5% down FHA loan and 48 months for a no-money-down VA loan. However, it takes seven years to qualify for conventional loan approval, no matter the size of the down payment. Short sale. Mortgage eligibility after a short sale is 36 months for a 3.5% down FHA loan and 24 months for a no-money-down VA loan or a 20% down conventional loan. With normal Chapter 7 bankruptcy, you have 24 months until you’re eligible for a 3.5% down FHA loan and 48 months for a VA loan or conventional loan. To determine which red flags to overlook, lenders use mortgage overlays. Overlays are explained by The Washington Post as “the mortgage approval standards that lenders and their investors place above the guidelines set by Fannie Mae, Freddie Mac, the Federal Housing Administration and the Department of Veterans Affairs.” In other words, overlays are the guidelines mortgage brokers and lenders follow to prevent potential mortgage losses. Overlays vary from lender to lender, so while one lender might not approve your loan because of poor credit and a minimal down payment, another may. The key is to find a lender with minimal overlays who is willing to work with your situation. One way to shortcut the path to finding a lender who will work with you is to go through a mortgage broker who can do the legwork for you. Even with bad credit, there are things you can do as a potential homebuyer to help improve your chances of loan approval. If you can’t quality or for a non-conventional loan, try saving money for a larger down payment. Lenders view borrowers with a combination of bad credit and no money down as riskier than either factor in isolation. Typically, lenders like to see at least a 20% down payment. It’s also important if you have bad credit and are trying to secure a home loan, to lower your overall debt-to-income ratio. The debt-to-income ratio is a way a lender calculates how much you can afford. Most credit reports don’t contain information regarding past rental payments. However, if you can, prove you made on time payments consistently over the last 12 to 24 months. A few alternative credit reporting tools can help, like Rent Reporters, Rental Kharma and RentTrack. Before choosing any tool, research the fees and monthly charges. Also, ask if your personal data will be protected and what you have to do if you choose to cancel the service. Some of these tools only report to one of the major credit bureaus. But some report to all three, which will help more than just one. It may be helpful to write a letter explaining your situation. Break down the negative items currently on your credit report and give the reason as to why the lender should trust that it won’t happen again. Provide any proof you have that you’re taking care of the situation, paying down debt or receiving benefits because of an unexpected layoff and loss of employment, for example. When you talk to a lender, gather documentation to explain your credit challenges. If you can explain derogatory items in your credit history to a lender, you’re more likely to receive a mortgage. Be specific when speaking to a potential lender or broker. Don’t be afraid to share details of your needs and concerns. You’ll save yourself a lot of headaches later by finding out up-front if they have any mortgage overlays that might prevent them from lending to you. You don’t have to have perfect credit to buy a home. Just be prepared and search carefully for the lender or broker who can make your dream home a reality. Not sure where to start looking for a mortgage? Start right here at Credit.com with a list of mortgage rates from lenders in your area. This article was last published July 17, 2018, and has since been updated by another author. One key to improving your credit is being constant on newly acquired debts. A home not only is a wise investment for your future, it can also help a credit score that hasn’t always been the best. It may be more difficult to obtain a mortgage for some people and that’s why there are brokers that specialize in repairing credit. Trying to get a home in Michigan and just keep hitting people that want me to go to credit repair service. Everything I see about that is scams. Just need a home. John, I would try credit.com’s new scoring model to run scenarios on what it would take to raise score from where it is now. Then its a function of what your score could be and whether new score could qualify you for a mortgage. My fiancee and I are wanting to buy a home. My income is very low being I am mainly a stay at home mom, about$1,200/month. But my credit is 748, I am the co-signer with him on my auto loan, have 3 major credit cards that I use basically every day. And pay off monthly. My fiancee makes appx 54k but has horrible credit @ 520. He can’t even be on a mortgage loan with me. I applied for a loan and was surprisingly almost accepted but was turned down because I have been the one making the payments on the auto loan for the last year. I’ve told him time and time again he needs to get his debts paid off, and I do honestly think he is going to this month. We found our perfect home for 60k. We are determined we are going to find a way to get it. We will have only about $5000 to put toward the buying of the house. Is there anyway possible that we are going to be able to get his credit fixed and able to obtain a loan in the next few months? I have researched about authorized users on CC and am wondering if we were to get married and me have him be an authorized user to boost his credit score on top of paying his debts, which honestly are only about $2000, if a mortgage lender would see his credit score evened out and acceptable with me in the mix? As I read they only see the authorized user credit acceptable if married. I am desperate for ANY kind of input into how to obtain a mortgage somehow! Coming up with a %20 down payment is almost out of the question, just figured I’d throw that in there since that would be an option for me to apply without them checking my income. use your income solely to qualify. I am so glad to hear things are on the upswing for the two of you. It’s hard to say what exactly has to happen before you can qualify without knowing what exactly is holding your credit scores down. Do you have your free credit score from Credit.com? Which of the five factors have low grades? Gerri fantastic advice here. I like to add that most lenders usually have a 620 minimum credit score standard for FHA loans. Some lenders will do an FHA loan with the middle credit score is low 600. In which case, Brenda would be eligible by getting her credit score up a mere 10 points. I have 20% to put down and a 640 score with 46% debt ratio. Can I get a conventional loan? 46% is soooo close to 45%– I bet you could change the insurance quote, loan size or down payment or pay off a debt to make the ratio doable at 45%. Talk to your loan officer and run these scenarios by them. I have credit average 670. Have a bankruptcy that was dismissed in 2011. It was not discharged but dismissed. Have tried to apply mortgage loan & was declined. What steps do I need to take to get a loan approved? You should be good to go now 2 years on FHA post BK chapter 7 or 1 yr from a ch.13. For conventional–4 years out so you should be ok here too. I would say work with another mortgage company. My husband has credit scores from 656-677 but has a car repossession from 6 years ago that still has a balance of $5600. He and I both lost our jobs with the same company within a month so we defaulted on the car payments and thought the best thing would be to voluntarily surrender it. We were wrong and did not realize how badly it would effect our credit and lives at 19 years old. Fast forward to now, he has been making all of his payments for his car loan, credit cards, and student loans. He’s been in the Marines (active duty) for the past 4 years and his debit ratio is 11%. The only negative accounts are the car repo and we owe money to an apartment complex (from the same time as the car repo). He applied for a VA loan but was told he had to payoff the car repo first. With it being so close to the 7 year statue of limitations we really don’t want to pay it. Should we consider paying it? What should be our next step in trying to get a home loan? Should we try to qualify for a conventional or FHA loan instead? We have about $10,000 we can put down if needed. Try asking to settle the debt if its still on the credit as debt. Lender per VA requirement would just want the debt zeroed out. Whatever you guys chose to pay them, ie offering a lower amount to make the debt go away is what the lender would probably want in his scenario. Otherwise, wait for it to come off the credit and then look for a house. because have a 625 score my wife has 700 score we both just got done working with a credit repair person. We payed off all the bad stuff on her credit and score jumped up alot. I still have a few thing on mine that need to be paid off. We both started off with 17 negative things down to 4 each on our reports.we are looking in to a FHA loan and have 5000 to but down. Not sure if this will be enough for us to get a loan. Good question! Expect the lender who you’re applying width to use the lower of the two credit scores, in your case 625. Make sure, that lender who you’re applying with has the ability to originate an FHA loan with the 620 middle credit score or higher. Some lenders have what’s called an investor overlay- which means that as a company their threshold for lower credit score FHA loan type borrowers is 640 for example. So assuming your mortgage company can do alone with the 620 middle credit score all of those negative things will be factored but not necessarily stop you from getting a mortgage. When you apply for a home loan, the lender will run an automated underwriting analysis. This automated underwriting analysis is an algorithm every lender the country uses this essentially reviews your credit, debt, income and assets and issues out automated underwriting findings that makes you eligible. Since you are applying for an FHA loan and the FHA has substantially more lenient credit standards than a conventional loan for example it is very likely you could still get a mortgage despite some of the blemishes on your credit. My husband and I are trying to get approved for around 180-200k. Husband: Credit score 609 Fell down from 663 in January because we didn’t contact Navient (Sallie Mae) in enough time after his loan came out of forbearance. Only about $2,000 in credit card debt on 1 card (with no late payments), $1,000 on the student loan and $14,000 car loan (with no late payments). Mortgage lender told me yesterday that there is no way husband can get approved with the late pay to Navient. Navient told me they will report favorably at the end of this month. I’ve seen my score go up 60 points in a month. Is it possible his could too just from a favorable report? The lender is trying to see if I can qualify on my own. She says I have good income. Keeping fingers crossed. Any recommendations are appreciated and yes, we know we are idiots for not taking care of the Navient loan right when we were trying to get a house. In order to answer this question post the minimum monthly payments on each obligation/loan payment/credit card. Not what you pay, but what is actually the minimum amount per month owed. Post this information and then I can give you more information about your scenario. Yes, VA loans are only for veterans. If your question is pertaining to some other aspect of credit, share with us what your situation is and I can give you my feedback. It doesn’t hurt to rent when you relocate so you can figure out where you really want to be. In the meantime, you can ask a loan officer to review your credit and financial situation and give you a game plan to get in a position to buy. Have you thought about opening an account with a credit union when you get there? They may be able to help. Is it impossible to get a loan with a mortgage late within the past 12 months?The 3 credit bureaus are reporting an average of 682 for my credit score however I had a late payment (90 days late) in Sep 2014. Do I have to wait until Oct 2015 to apply for mortgage to try to get approved? I sold my home in NJ Nov 2014, relocated to GA – currently renting and would like to purchase a home but have been unsuccessful in finding a lender. Will it be impossible to get a mortgage loan due to the mortgage late payment in Sep 2014? We suggest speaking with a mortgage broker to ask that. There is no point in continuing to apply for mortgages and having numerous hard inquiries on your credit report, so you’d want to speak to a professional about what score is likely to qualify for what mortgage rate and decide based on that. In the meantime, do what you can to boost your score — paying on time and keeping balances low. A 1×30 meaning one 30 day mortgage late in the last 12 months, should generally pass automated underwriting. Anything more than that 60 days or in your case 90 days will probably mean an automatic 12 months from the time that you would be mortgage eligible again for a new loan. Hi – I am in the process of looking for a condo. My latest FICO midscore is at 656 as of June 1st. I have $8K in savings. I wanted to try for a conventional 95. My debt to income ratio is acceptable. I do have one late on a credit card that occurred in July 2014 – It happened in the midst of a divorce. I also have a bankruptcy that was discharged in 2011. I want to buy a home in order to have a tax write off. Now that I’m single, I had to pay $3000 in taxes to the IRS this year. I rent an apt for $1400/month and have no other write-offs. Will I be able to get something with the bankruptcy in my records? Since then, my income has almost doubled and I no longer have children in college to support. Have you talked with a lender? If you are starting to look for a condo, I would definitely suggest you try to get prequalified with a trusted lender. It sounds like enough time has probably passed since your bankruptcy. More here: How Soon Can I Buy a House After Bankruptcy or Foreclosure? When specifically in 2011 was the bankruptcy discharged? For a conventional loan, you will need 4 years from the date the bankruptcy was discharged. I have about total 30k credit card bad debt from more than 13 years ago and I don’t see them on my credit report now. I have several credit cards now, the longer history is about 4 years old. I also did get 11k car loan approved 3 years ago. and I already paid off my car loan in 2 years. I recently looking for a house now, my FICO is above 740, I’m making 84k, have 60k saving and I even get the pre-approval letter from quicken loans. I’m wondering, am I debt free now? Is that mean I should be able to get approve for a 250-280k loan? It doesn’t sound like you have bad credit to us. The bad debt would have dropped off your credit report after 7.5 years, and it sounds like it has. Whether you still owe it would depend on the statute of limitation (or whether you have been sued and have a judgment). If your pre approval is for up to $280k, it sounds as if your chances are good. You don’t want to ignore it because some debt collectors will still sue consumers, even for debts that are too old. We can’t tell you exactly what to do (it would depend on all the circumstances of your situation) but if you hear from a debt collector about a debt you believe is too old (see article below) you can send them a letter (certified mail) stating you believe the debt is too old and asking them not to contact you again. Read: Statute of Limitations On Debt Collection by State and 7 Things You Need to Know About the Statutes of Limitation for Debt. Please keep in mind that if there is a judgment that’s another matter, but it doesn’t sound like that is the case since you’re not seeing one on your reports. Mortgage lenders have different standards for evaluating applicants called “underwriting.” So, when you go to apply for a mortgage, the medical bills on your credit report may have an impact depending on the credit scoring model used by each lender (there are dozens of different credit scoring models and there are also custom models purchased by lenders too) and the bank’s underwriting standards. Some of the newest credit scoring models will ignore certain medical bills when looking at your credit report. You can always ask a lender which credit scoring model they’ll use to evaluate your credit. And your mortgage officer may be able to answer more of your specific questions about qualifying. Get a copy of your free annual credit reports and take them in with you before they pull your credit to ask any specific questions. You can get your free reports at AnnualCreditReport.com. Yes, you should be ok to buy a home. Have you spoke with a lender yet? If not, I would do so asap for a more specific answer. Hi, i have 3 old CC defaults from back in 2008. my credit score is 685 using the middle score between the three reporting bureaus. i would like to now purchase a home. i do have 20% to put down, what do u think my chances r. i know if i wait until next year, they should fall off, however there is a certain home that i like, therefore i’d like to bump up buying time table. been with the same company for 15yrs, less than $100.00 in CC debt, auto loan $380.00 a month, make $40,000.00 (forty thousand a year). no other derogatory marks. I think you should go ahead and move forward in getting qualified as long as you can afford the house payment. The all credit card latest could be affecting your credit score to some degree but they are so old, I would doubt it. If he was a cosigner then he is 100% responsible for the debt if she doesn’t pay. The divorce decree doesn’t change the agreement with the creditor. He may need to step in and make payments and then try to collect from her…? No easy answer in these situations. If he had a divorce attorney represent him, we’d suggest he reach out to the attorney for advice. I filed for chapter 7 bankruptcy in February of 2013 after marital problems . My husband and I separated for four years. We have since reconciled. I have reestablished myself. Perfect payment history for two years. I have recently been pre-qualified for an FHA loan with Quicken loans. I have saved up the 3.5% down-payment. My bankruptcy was discharged 2 years 1 months ago. My middle score is 699. My husband on the other hand has done nothing to work on his credit. He has very recent delinquencies. They are mostly medical bills. His middle score is 579. That’s actually pretty high I think considering he has 8 total delinquent accounts. The only reason it’s that high is because I have piggybacked him on all of my credit cards. So he has no inquiries and perfect payment history on 6 credit cards. My question is, If I am able to bump his score up the 1 point required to qualify for FHA will he be able to qualify with all of the delinquent accounts as long as he is at 580? My husband makes pretty good money and I only make around 35K. It would really be nice to be able use his income to find a home. Thanks in Advance. Hello, me and my husband are trying to get a house and we are so close to the closing date, but unfortunately re into a pot hole, see our lender called us worried saying that she didnt have any of our paper work anymore, i dont know if she trashed everything or lost it, but because of this she had to start all over again with our loan and she reran our credit without consent and only to find out now our credit score is lower the what is was and because of that we don’t qualify for fha and we have to come up with $7,500.00 just to close our purchase price is 89,990. Can anyone offer any help i feel like we got screwed over! That’s very worrisome, especially if your files with that information were lost. You need to get a clear answer from the lender as to what happened to your paperwork and you need a lender you can trust. I’d suggest you talk with the management there and if you can’t get a satisfactory answer consider filing a complaint with the CFPB and finding a lender you can trust. Consuelo, Gerri has some really great points. I agree it’s a bit unusual for a lender to just lose your paperwork. Creditors do not want to hear from the Consumer Financial Protection Bureau. That will definitely get their attention. The lender does not control your credit score. Typically, for the purposes of getting a mortgage, the three merge credit report a lender pulls, is good for 75 days. If they pull credit after 75 days, and your credit score dropped, that is probably not the fault of the lender. More than likely something popped up on your credit report because your credit score to drop. As a result, the fact that you have to come up with more cash due to the credit score dropping is a byproduct of the industry. That might not necessarily be the lender’s fault. Find out specifically how long a credit report is good for. Additionally if the credit report, was used for preapproval and after 75 days you’re in contract and had to get repull then again, that might just be a function of the credit dropping for some other reason. I don’t suppose you’re looking for a loan in the state of California? If yes I can help if not, certainly get another opinion from another lender in your area. Good luck! I have a 600 credit score. My annual income $60,000. I just finished paying off my car note and have $110,000 in student loans that was on forbearance. My only other debt is $2,000 in credit card debt. I did have a lot of bills/debts but now besides those 2 and my rent that’s all i have left other than utility bills. What are my chances of being approved for a home loan? $2250 is 45% of your monthly income less than minimum payments on your current liabilities is the maximum mortgage payment you can take on. I would say your chances of getting a mortgage are good, it is worth your time. Remember your credit score cannot just be simply 600, the middle credit score specifically has to be 600 that’s key. Hello Kelly, I would like to know if you were able to get your mortgage? I am only asking because I too have a huge student loan debt and now working as a nurse. Credit score same as yours. Thanks. The best person to ask is a mortgage broker. It will depend on factors including special programs available, your income and other financial obligations. It is true there is a multitude of factors that go into qualifying for a loan. The lender will take your gross monthly income, usually at a maximum debt to income ratio of 45%. Since you’re in nursing school I imagine your income is probably lower as you’re not a full-fledged nurse yet. Whatever your current income is right now is the income that would be used to qualify. For example let’s say your income right now is $5000 per month 45% of that would be a maximum debt allowance on a monthly basis of $2250 per month less the minimum payment on the car and the 2 credit cards= equal to maximum amount of total mortgage payment you could have each month. That’s the formula. I hope this helps and good luck with the house qualification. My wife and I want to purchase our first house. Annually I make $41000 and she makes $17900. I have a fico credit score of 726 and 720 from the other three credit bureau’s. She has a credit score of 590 and another reading of 647 with some derogatory remarks of late payment and accounts payoff. My total debt a month is $649 and hers is $398. Based on this info would I be approved for a mortgage. LEt me add that I can put down $25000 down payment. Advice please! There are a lot of ins and outs of mortgage underwriting (aka how a mortgage lender decides whether they can lend to you). There are definitely options out there for you like FHA loans, which require a low down payment and can be a great entry-level mortgage option for you and your wife. There are limitations on whether you can get an FHA loan, however. For example, if you and your wife have a defaulted federal student loan on your credit report. Our advice would be to get your free annual credit reports for you and your wife (you can get those at AnnualCreditReport.com) and go to a local mortgage officer and get his/her advice on whether you’re mortgage-ready. my situation is I own a home I’m planning on selling it to downsize to small home but here is the thing my credit is bad I’m retired on a lifetime income of $7.627 00 a month never late on my house payment what are my chances of obtaining a mortgage from the sale of my house I’ll have a good down payment. If your middle score is 620 there are some programs you may be able to get into. It wouldn’t hurt to talk with a loan officer to see what may be feasible. I was approved for a mobile home loan.and received the pre-approval letter.. My credit score is 690. They then came back with a disapproval because I took the previous year off for cancer treatment.. I am fully employed and have been in the same industry 25 years.. Can they do that? Have you not had continuous employment income for the last two years? That may be the issue. I am not aware of any law preventing them from turning you down because you did not have income for a year though I can’t say one doesn’t exist for certain however. With the exception of the year for cancer treatment, I have worked continuously since 1985. I would think that should show continuous employment. My credit score is good and I kept my payments up while on disability. I’m sorry Jeanine but I am just not aware of any exclusions that would overlook the interruption in income. That doesn’t mean they don’t exist. I’d suggest talking to some other lenders. I wish I could provide more information–it sounds like you’ve been through a lot and done a great job managing your finances during a tough time. Thank you. Approaching other lenders sounds like a good idea. I spoke to the realtor yesterday who spoke to the lender. They have my file all messed up. Missing documents for one. I just re-sent w-2s, paystubs and letter of explanation for the one year off. He called them, called me back, they apparently lost documents, mixed up information. It was approved before, no reason it still wouldn’t be if someone would actually look at the file. Frustrating! I’ve provided most of the same documents twice now. That does sound incredibly frustrating! But it sounds like it may be moving forward which is good..! Here’s the latest – “Great news! You are approved!” The kicker is that originally I was approved with 10% down – today it’s at 20% down – bear in mind its all the same exact paperwork, nothing has changed. Hi, I wanted to know how an eviction and repo will affect my chances if getting a mortgage. My husband and I will be first time home buyers. Both of our scores right now are in the 400s but we plan to bring that up within the next 3 years. We both got secure credit cards. The repo is only in my name. He almost has no credit, his only debt is a car loan. All if my student loans are in good standing and have never been delinquent. What steps should I take to get my first home as soon as possible? We are looking at townhouses around $250,000. or less. That doesn’t mean you can’t work on your credit while that repossession ages off your credit. Not only will the repo have a smaller and smaller impact on your scores during those 7 years, you can still do things that will have a positive impact (sounds like you’re already doing that, in fact!). And you should also take your credit report and go talk to a local mortgage loan officer who can explain any potential negatives and walk you through some steps you can take to get back on track. Hi I was wondering my dad wants to buy a house he’s retired but has never had car loans or credit cards will he still be able to buy a house? I have a credit score of 677 and 658 on another. I make 70k a year and had a couple of late payments last year due to some unfortunate times. Can I get a mortgage or should I wait. Ugh. Collection accounts may be reported for seven years plus 180 days from the date of first delinquency with the original creditor. So collection accounts that old should not be on your credit reports. If you get a collection notice for a very old debt, you should check the Statute of Limitations On Debt Collection by State. If you believe it is too old, you can notify the collection agency in writing (certified mail – keep a copy) that you believe the debt is too old and ask them to verify it or to stop contacting you. More here: Does Your Old Debt Have an Expiration Date?